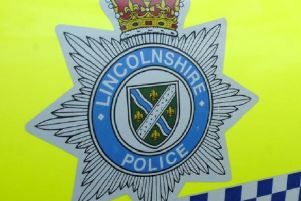 Lincolnshire’s Police and Crime Commissioner Alan Hardwick has stepped up his calls for a ‘fairer funding’ deal for the force. Mr Hardwick is hoping to secure more Government cash to stave off fears of major cuts in policing across the county. He admitted he was encouraged when the Government confirmed they were prepared to look at the funding formula again. However, Mike Pennning - The Minister of State for Policing, Crime and Criminal Justice - announced last week that the proposed changes will be delayed. Despite that setback, Mr Hardwick - who visited officers in Horncastle last week - is confident of a better deal and says ministers agree Lincolnshire has not been treated fairly in the past. He said: “Everyone agrees with me and the Chief Constable that the current formula is not fit for purpose. “In particular, Ministers have been very clear with us that Lincolnshire has not been treated fairly in the past. “There is no doubt that nationally the police service can save money. “Lincolnshire remains one of the lowest spending forces per head of population in the country. “Many forces have much further to go to become as efficient as Lincolnshire. “The new funding arrangements need to incentivise those forces into action. Mr Hardwick went on to say he expected a decision on funding next month. He added: “The Minister has said that funding for 2016-17 will be announced in the usual way in December. “He has been clear that he has listened to the case we have made. Mr Hardwick has praised officers for driving down crime across the county. While in Horncastle, he visited the town’s police station. He also went on a walkabout and was impressed with the highly successful ‘Spill The Beanz’ sessions. They are organised at Joff’s - a town centre coffee shop - and allow members of the public calling in to discuss any police-related issues. Mr Hardwick promised to attend a session although he has yet to make a decision about his own future. a decision about whether he will stand for re-election.